Commander: We only wanted to make the world better. Commander: Better never means better for everyone. It always means worse for some. 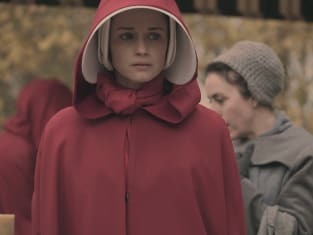 The Handmaid's Tale Season 1 Episode 5: "Faithful"
Permalink: Better never means better for everyone. It always means worse for some. Good. We'll do it this afternoon after the shopping. May as well strike while the iron is hot. Permalink: Good. We'll do it this afternoon after the shopping. May as well strike while the iron is hot.